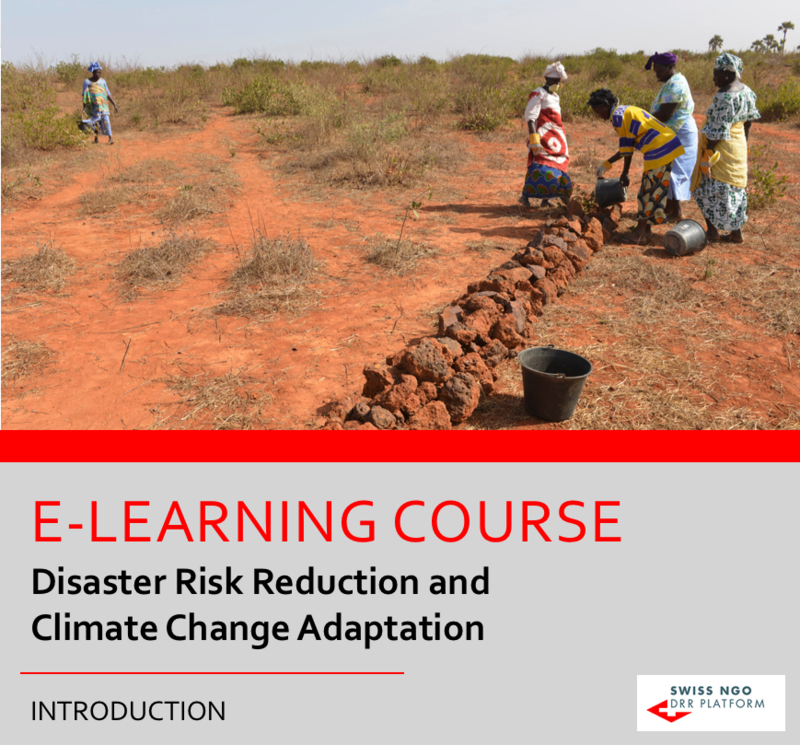 In 2017, the Swiss NGO DRR Platform developed a basic course on Disaster Risk Reduction (DRR) and Climate Change Adaptation (CCA) for self-paced e-learning consisting of four modules in the form of power point presentations ready for download. The course is open to everybody, particularly addressing practitioners new to the fields of DRR and CCA. It is based on the broad expertise of the Swiss NGO DRR Platform and its partners. This course was developed by HEKS/EPER, Caritas Switzerland, HELVETAS Swiss Intercooperation, Global Risk Forum Davos and Zoï Environment Network for the Swiss NGO DRR Platform. © 2017 Swiss NGO DRR Platform. All rights reserved.